Today, the Denver Film Critics Society, of which I am a voting member, announced the winners for its awards in the best of 2013 cinema. The nominations were released last week – read them here – and overall, I find myself pleased with the winners. Very pleased, actually, in some cases – my only major regret at this point is that we don’t, as of yet, give awards for Cinematography and other technical categories, which I think is a fairly large oversight (especially in a year so rich with technical accomplishments). Oh well. Below is the press release as sent out by the DFCS, and after the jump, you can read about the award winners, with my own personal commentary included. Denver, Colo. - The Denver Film Critics Society honored director Alfonso Cuaron’s space-based saga “Gravity” as 2013‘s best movie. The film snared the coveted Best Picture award as well as honors for Best Director, Best Sci-Fi/Horror Film and Best Score. 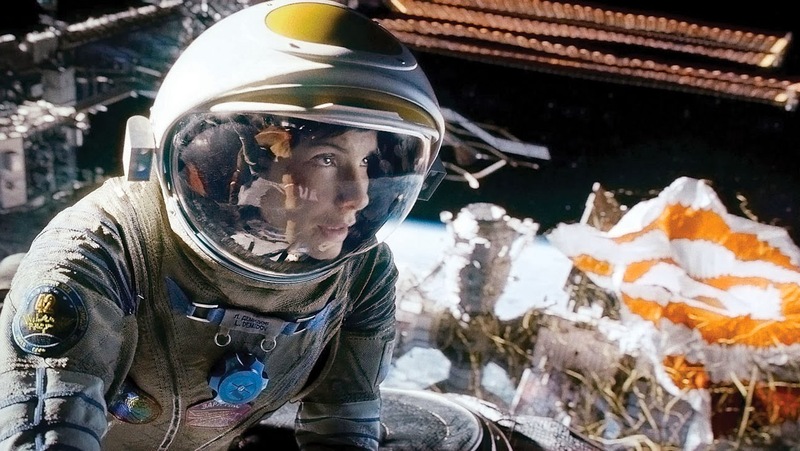 "Even critics who thought other films were more deserving of Best Picture status saw how ‘Gravity’ will influence a generation of filmmakers on how to fuse storytelling with special effects," said DFCS co-director Christian Toto. “Dallas Buyers Club," the true story of an AIDS patient who refused to stop looking for a cure, earned two key actors’ awards for Matthew McConaughey (Best Actor) and Jared Leto (Best Supporting Actor). The group’s two new categories - Best Comedy and Best Sci-Fi/Horror Film - gave overdue praise to genres often overlooked during awards season, while the crowd-pleasing “Frozen” earned Best Animated Film and Best Song honors. The Denver Film Critics Society includes members from across Colorado working for print, radio and web outlets. Final voting was conducted from Jan. 9-12, 2014. I am very happy with our choice of winner, not only because this is my second-favorite film of the year, but because Gravity has been getting much less attention from critics groups this season than it probably deserves – I am glad to see we are one of the few to award it with the top prize. While Her was my favorite film of the year, Alfonso Cuarón was my vote for 2013’s Best Director in both nominations and the final voting process, because if ever a film was a complete and total directorial triumph, it’s Gravity. A wholly deserving winner. McConaughey was one of the many, many actors who narrowly missed my Top 5 on the nominations ballot (in final voting, I went with Chiwetel Ejiofor), but his work in Dallas Buyers Club is extraordinary, and more than deserving. While I wish very much Brie Larson could have pulled out the win here, it’s hard to complain about awarding Blanchett for her career-best work in Blue Jasmine. A great performance by one of our greatest living actresses. Full disclosure: I think Leto’s work in Dallas Buyers Club is a tad overrated. I think it’s big and showy and just a wee bit overbaked (where McConaughey’s work reveled more clearly in nuance and smaller character details). It’s a great piece of character building, but I think there were more deserving performances this year (James Franco got my vote, because...just watch the “This is my s--t” scene again...). But I know I’m on an island on this one. BEST SUPPORTING ACTRESS: Jennifer Lawrence, “American Hustle"
I was worried the wildly overpraised American Hustle would be wildly overpraised by our group in final voting, but it turns out Lawrence was one of only two major wins for the film, which I am fine with. I love Jennifer Lawrence, and I love her in this film – even if I think the character is much, much slighter than some of the other options (Lupita N’yongo’s harrowing, haunting work in 12 Years a Slave chief among them). Sigh. This was an awful, awful year for animation. Frozen was the best American animated feature this year, and I still feel it was mostly mediocre. I am a little confused that, since The Wind Rises was nominated in this category, it didn’t win – that is a great film – but Frozen has obviously had a lot more exposure, and it’s admittedly infectious music helps keep the film at the forefront of the awards conversation. I think our Society needs to split this category in future years – Sci-fi and Horror are very different genres, and the nominations only included one horror film – and it does seem a tad redundant in the year where our Best Picture was, in fact, science-fiction. A deserving win, nevertheless. I’d voted for The World’s End here, but This is the End is a tremendous comedy too, and I’m happy to see it take a win. The screenplay of American Hustle is the film’s major weakness to me – the film has great style, direction, and performances, but the story is a cluttered mess around the middle and it often loses focus on its core themes and character arcs – so suffice to say, I disagree with this winner, especially in one of the best years for Original Screenplays in modern times (Gravity, Her, Inside Llewyn Davis, The Wind Rises, The World’s End, Before Midnight, and the list goes on and on and on...). Perfectly deserving, as Winter’s tremendous screenplay is the foundation for a tremendous film. I put 12 Years a Slave just ahead of this film in my voting, but either win would have made me happy, and this award is indeed a satisfying one. BEST DOCUMENTARY: “The Act of Killing"
An obvious winner, but a great one nevertheless. I had Stories We Tell just above this, but both are landmark documentaries. The best original song in a film that features a few great ones, “Let it Go” seems like the appropriate win here. I assume this is also what will win on Oscar night in a few weeks. Since Howard Shore made the nominations cut for Desolation of Smaug, I was really hoping we would give him the win – but it’s hard to complain about Price’s work triumphing, as it is a tremendous piece of movie scoring in its own right. Interesting. I haven’t gotten around to seeing The Grandmaster myself, but I have to assume there was a bit of a divide in the voting here to wind up with this respected, but so far largely un-rewarded film, taking the prize. I know we had some Blue is the Warmest Color fans, and I was personally pulling for The Broken Circle Breakdown, so maybe there was a voting split? This one is still sitting on my screener pile, so I hope I can find the time to give it a look soon.